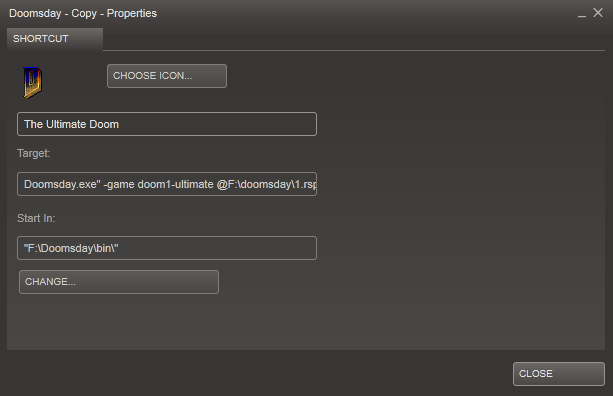 In this tutorial we will show you how to make multiple non-Steam shortcuts in Steam with seems simple enough but do to how steam is it's not also i will be showing you how to set up an RSP file and using the -vdmap command line as if you do not then you will not be able to use your resources you have downloaded like the Heretic resource pack. Navigate to your doomsday/bin folder and then make 2 copies of doomsday.exe you can rename them if you want witch i did to help me. 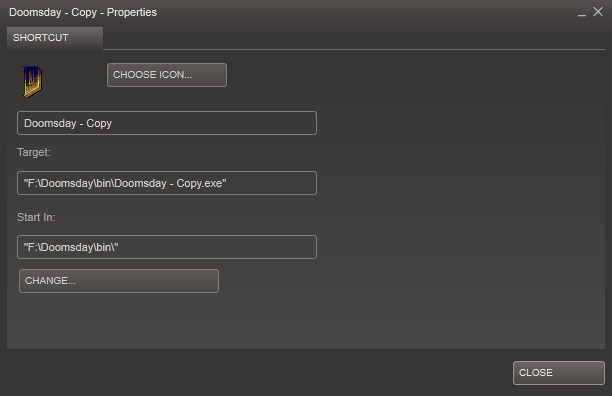 After finished with steam delete the copy exe you made as they are not needed a gen.
Now lets create an RSP file. you can name it what ever you want. an RSP file is just a text document that dose command line options. now if you only have 3 things to load like wads or pk3's then use the formula you would to load a file with the -file command. here is an example of how one would look. -file F:\doomsday\snowberry\addons\jdmu-all-remix-sycraft-v4.pk3 F:\doomsday\snowberry\addons\dwango5.wad you can also add the -game command before the -file command to load your game that way as well. -Step1E: if you have lets say the JDoom Resource pack that you want to load you can use the -vdmap or virtual_directory_mapping to load your addons. to do this useing the RSP file add -vdmap “directory of addons” “directory of auto load folder” an example of this would be -vdmap “F:\DDayaddons\Doom\PK3” “F:\Doomsday\Data\jDoom\Auto” note that if you wanted to do multiples to the same folder it will not work as that probably is not implemented yet so just have everything in the same folder. you would need to set up another one for the defs autoload as well but you can do this in the same file using -vdmap command and following this step. now save and your done.